ASIC has cancelled the license of a Victorian broker following concerns about his conduct. Parmjit Singh, a mortgage broker based in Dandenong, Victoria, has agreed to cancel his Australian credit licence after an ASIC surveillance found that between 2010 and 2013 he failed to verify documents supplied in support of about 40 loan applications to various banks. Singh has also agreed not to apply for a licence or participate in the consumer credit or financial services industries for five years. ASIC found that in preparing loan applications, Singh obtained information from home loan applicants, but failed to verify payslips, bank statements and employment references in circumstances where suspicions should have been raised as to whether these documents were valid. ASIC was concerned Singh was not a fit and proper person to engage in credit activities as he was reckless about whether the loan applications contained false information about the income and employment of the prospective borrowers. 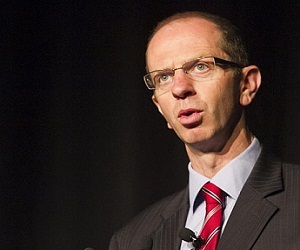 ASIC Deputy Chairman Peter Kell said, ‘Under the credit legislation, brokers, as well as credit providers, have important responsible lending obligations. ASIC will take action where it identifies mortgage and finance brokers who knowingly or recklessly submit false loan documents."